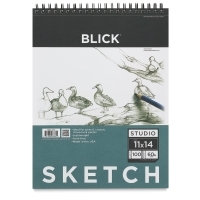 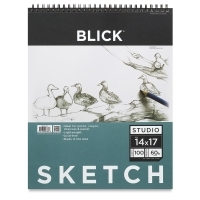 Perfect for practicing techniques, for quick sketches or studies, or even for experimenting, Blick Studio Sketch Pads are an economical choice for both beginning and experienced artists. The pads contain 100 sheets of white, acid-free, 60 lb (98 gsm) paper with a medium surface that can be used with pencils, crayons, charcoal, pen-and-ink, and all dry media. 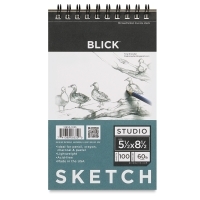 Micro-perforations make removal of the true size sheets quick, clean, and easy. Designed for the novice, Blick Studio Sketch Pads are also ideal for the more experienced artist who needs paper to experiment on.